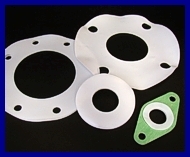 PTFE and Fluoropolymer Fabrication from Interplast Inc.
Interplast Inc. offers a wide range of fabricating capabilities of Fluoropolymers. 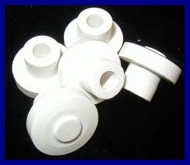 With a combined experience of over fifty years we offer our customers precision molded and machined parts to their specifications and drawings. The utilization of the most advanced equipment, employee expertise and efficiency, Interplast provides the highest quality at the lowest cost to you our customer. 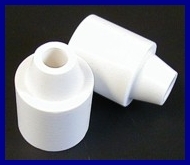 Our manufacturing division produces the largest PTFE basic shape inventory supporting our fabrication department and because of this extensive inventory we offer the quickest deliveries on all custom and fabricated parts, large, small or prototype runs in our industry. The following is a list of typical parts produced on a daily basis and the industries they are used in.